The Polestar 1 has a double electric motor system that powers both rear wheels. 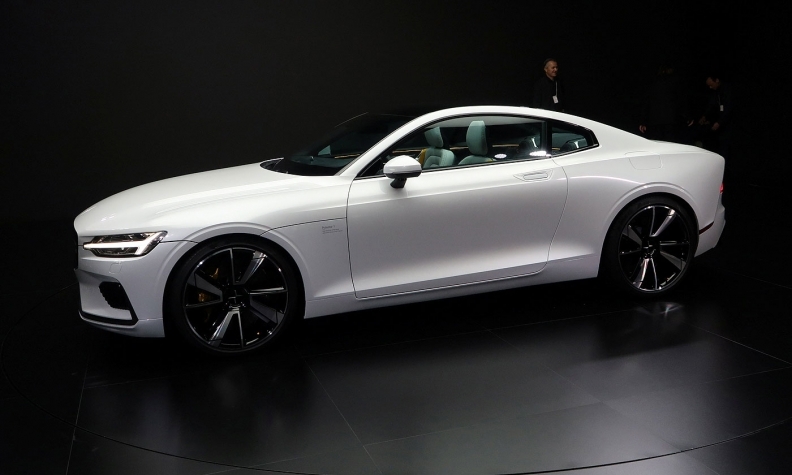 Volvo Cars' Polestar brand claimed some world firsts while unveiling its debut model, the Polestar 1 high-performance plug-in hybrid coupe, in Shanghai this week. With a combined 600 hp, the Polestar 1 will be the most powerful car ever built in China, the company's CEO, Thomas Ingenlath, said. Production will begin in mid-2019 at a new dedicated plant in Chengdu. With a range of up to 150 km (93 miles) on electric power only, the Polestar 1 will offer the best full-electric range of any hybrid car on the market, Ingenlath said. These technical specifications make Polestar a credible rival to Tesla and the BMW i subbrand. Where Polestar looks to be a bit weak is on the volume side. The company plans to build up to 500 units a year of the Polestar 1, a target set to be reached in 2020 at the earliest. To put this figure in perspective, BMW has already sold 100,000 electrified models this year. Tesla sold 75,000 electric cars last year and, with the smaller Model 3 ramping up, is on track to reach 100,000 deliveries this year. It is true that Polestar's volume models are still to come. They will include the battery-powered Polestar 2 compact set to debut in late 2019, followed by the Polestar 3, a large, sporty full-electric SUV due in 2021. Until those models arrive, however, Polestar will merely be a distraction to Tesla and BMW i rather than a legitimate rival.